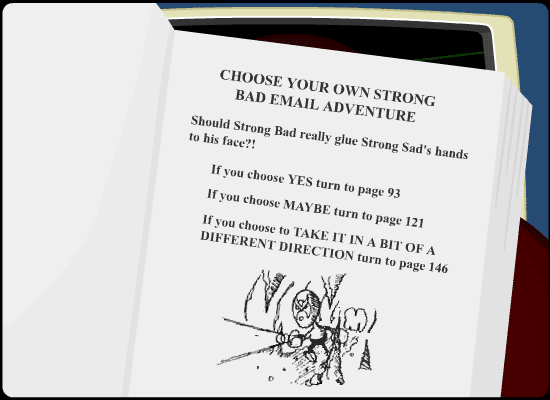 Strong Bad Email : "1 step ahead"
Ooer, Choose your own adventure! I loved those books! Hit the scoreboard for sound effects, but you'll still lose a point. off-frame you can see the rest of the poster on SS's wall. no less boring than the part you can see though, and no Lea Thompson.